There are a lot of bands whose live performances simply aren't as good as listening to a CD. This could be because the albums are so over-produced that the band can't compete on stage, the endless touring takes its toll, or even that father time is getting the better of them. Iron Maiden are not one of these bands. The boys have battled through dozens of line-up changes, countless miles travelled and Bruce Dickinson's inspirational battle with cancer, becoming stronger for it. Maiden's current line-up of Bruce Dickinson, Janick Gers, Dave Murray, Adrian Smith, Steve Harris, and Nicko McBrain has been constant since their 2000 album Brave New World. These seventeen years have allowed the boys to build a chemistry like no other, and with sixteen studio albums worth of songs to choose from, their live shows are better than ever before. Naturally, there are certain songs in the band's catalogue that are better, or at least more popular, than others. The same goes for live performances. 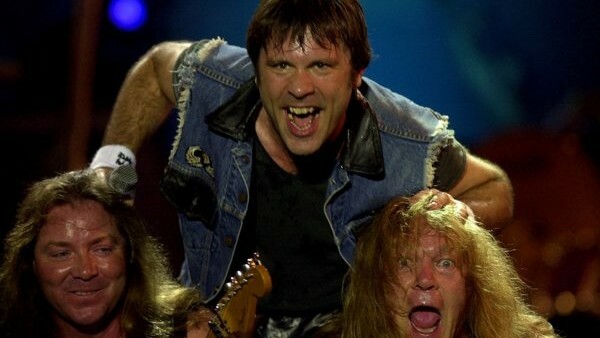 With the band seemingly ageless, there are very few songs, if any at all, that are made worse by the band on the stage, but there are a certain few that Iron Maiden have managed to make greater than ever. Once you have heard these eight Maiden songs live, you'll never go back to the studio album again.